When it comes to building customer loyalty, gratitude is the holy grail. 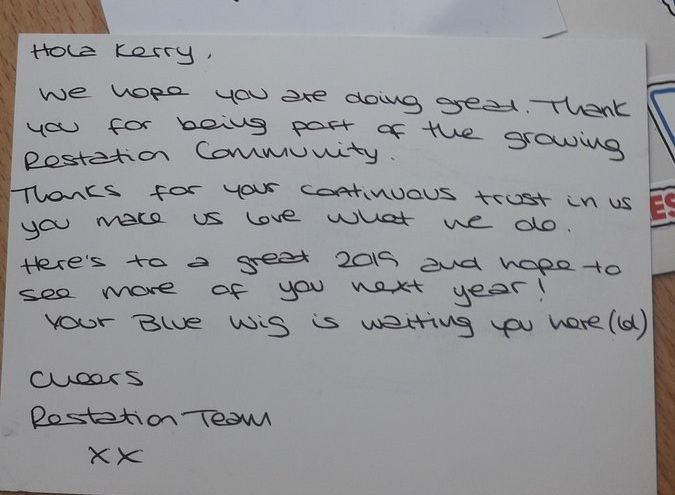 Have you ever received a personalised thank you from a business? If so, how did it make you feel? Out of all the ways you can say thank you, offline approaches are becoming increasingly more powerful as a way to surprise and delight your customer - after all it’s easy to insert <name> into a thank you email on Mailchimp, isn’t it? Why are thank you letters so effective at building customer relationships? Handwritten notes are the ultimate way to build customer loyalty, and even brand champions. Your customer is spending valuable time and money interacting with your brand, so by showing your appreciation you’re far more likely to boost their loyalty to you, and continue shopping with you. The emotional response that is most likely to drive loyal behavior, according to Boncheck, is gratitude. It’s really a no-brainer that gratitude increases loyalty. When your partner thanks you for taking the bins out, it feels good, doesn’t it? That’s the power of appreciation, and it’s no different when building a relationship with our customers. A handwritten note, if done well, looks cute, and is a true rarity in today’s age. That kind of personal touch will not only get talked about, it’s more likely to get shared on social media - further leading to more valuable and positive exposure for your business. Writing a thank you note to your customers strengthens the emotional bond you have with them. At present, they’re probably just indifferent to your brand, and those lukewarm to disengaged customers will be easily won back just through showing you care. Hex, a fashion tech accessory brand, made it’s name on Instagram after sending 13,000 personalised handwritten notes to customers thanking them for the purchase. Your customer has been with you along the sales funnel - from seeing an ad about your product, right through to purchase, so this approach really sweetens their overall shopping experience with you. Driving customer loyalty by writing handwritten thank you notes (or these cool letters from Pensaki) could be one of the most cost-effective marketing strategies in today’s digital world. After all, you can’t buy loyalty - you have to earn it.